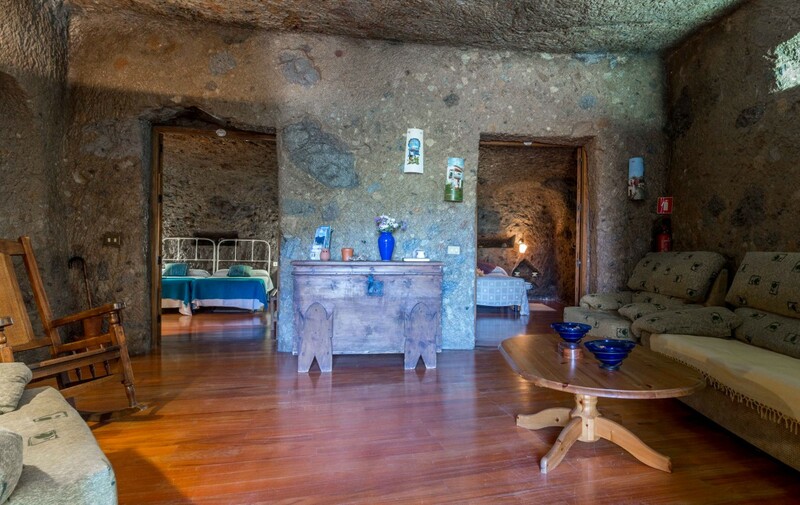 This is a spacious house, which, despite its wooden floors in the lounge and bedrooms, never loses its essential cave character. 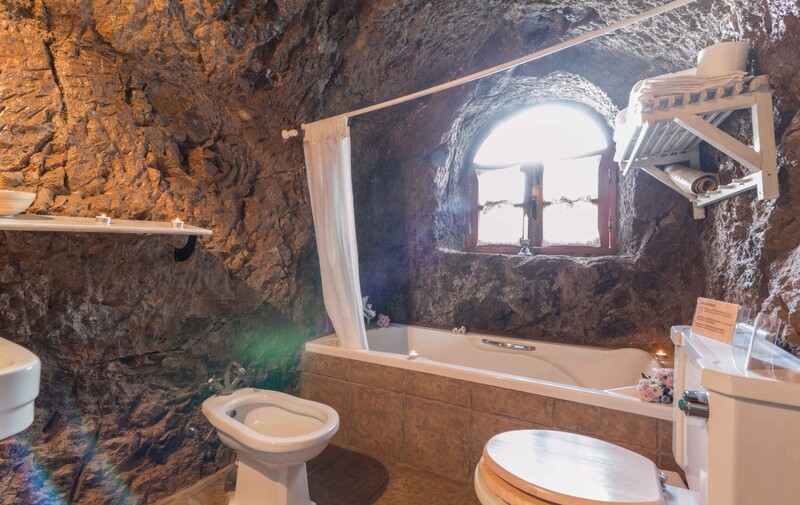 Ideal for couples with children or two couples who want to stay at the same house. 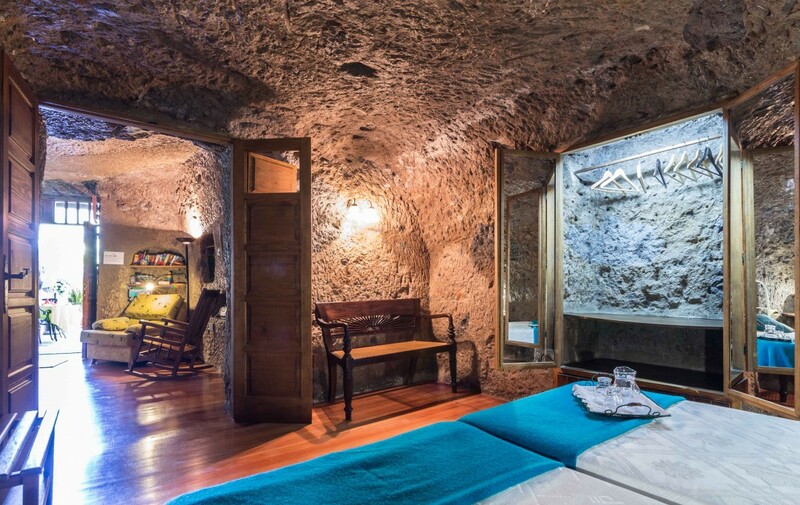 In its romantic interior, with indirect lighting, is a huge lounge and two bedrooms, one with two single beds and one with a double bed, a dining room, kitchen and a bathroom with a whirlpool bath, all inside the earth. 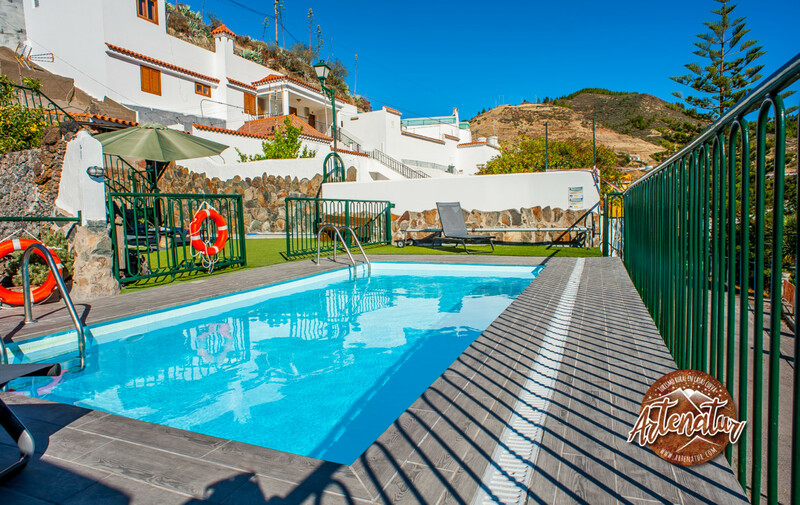 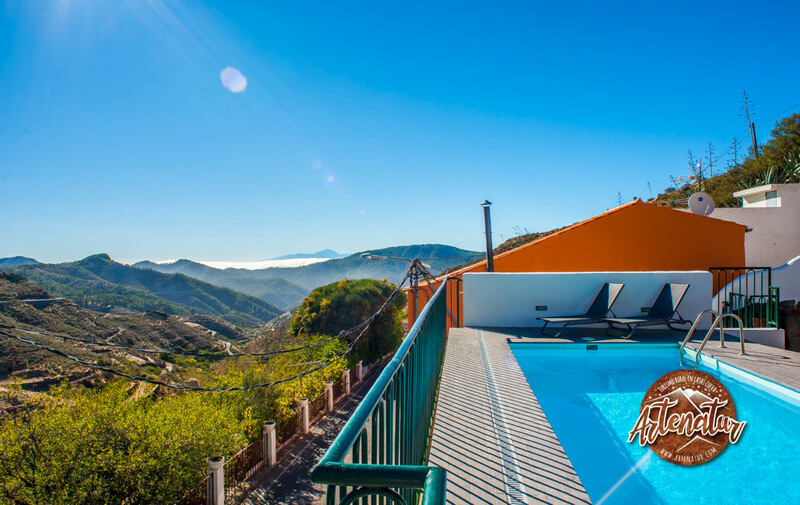 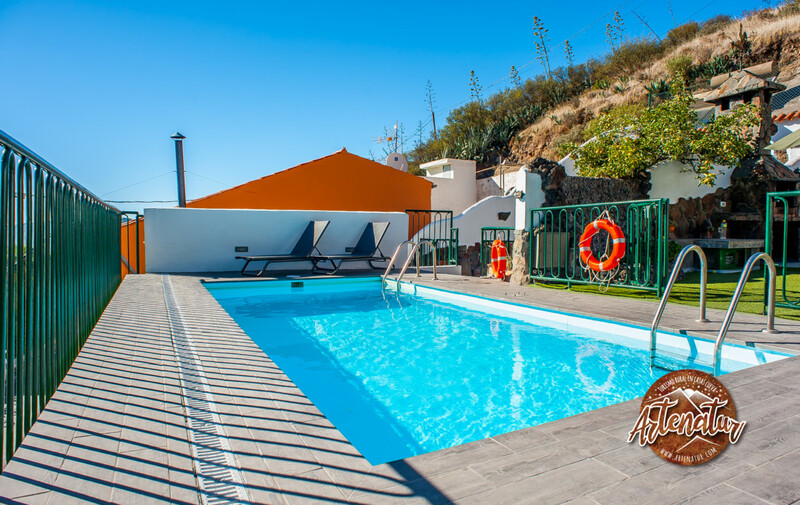 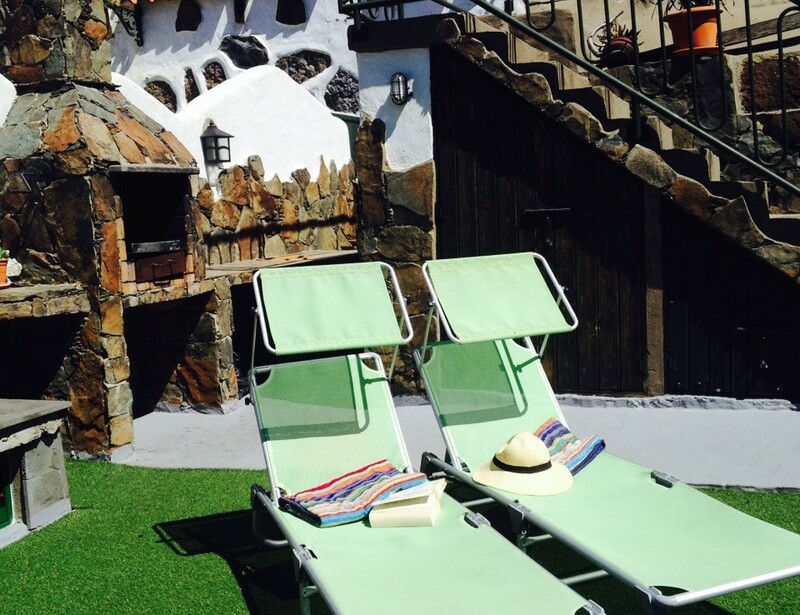 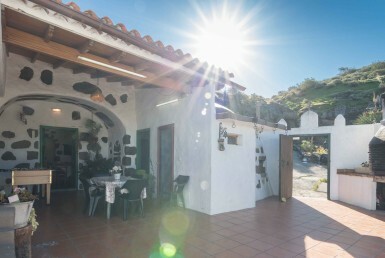 Outside there is a large terrace with a barbecue, sink, shower, lawn area and a hydromassage pool shared with Casa-Cueva El Mimo. 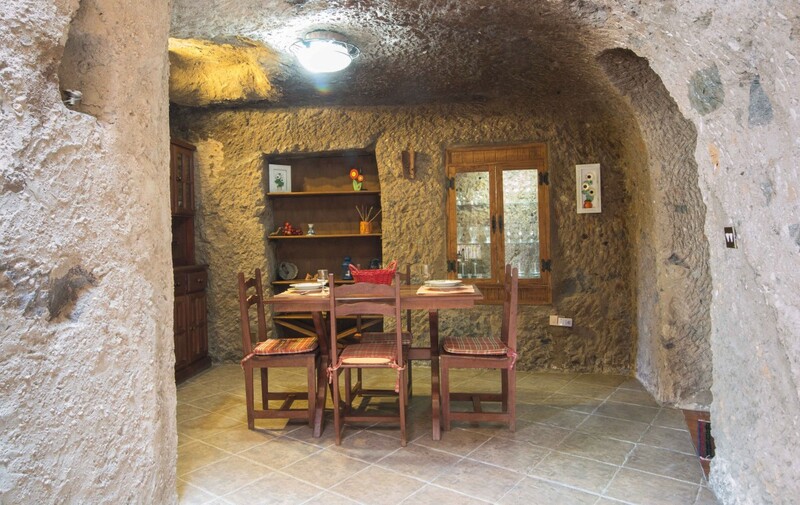 As it is next to El Mimo, at first they were one house, there is a door connecting the terraces in case relatives or friends are staying in both houses. 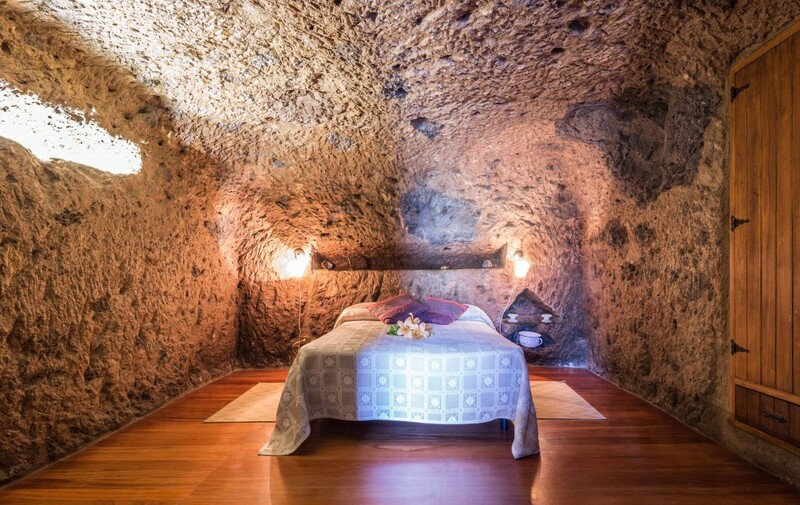 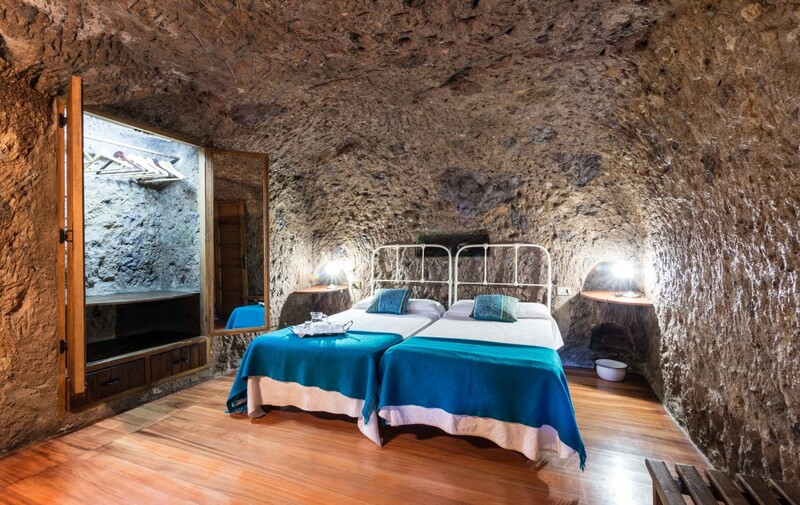 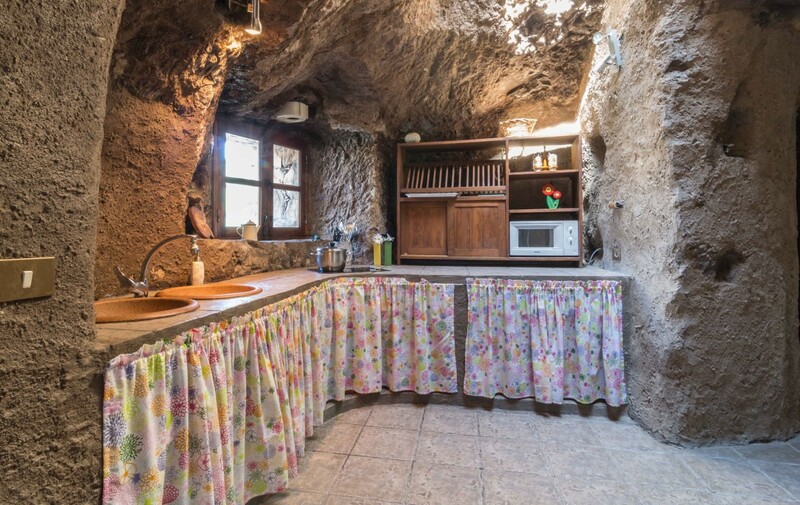 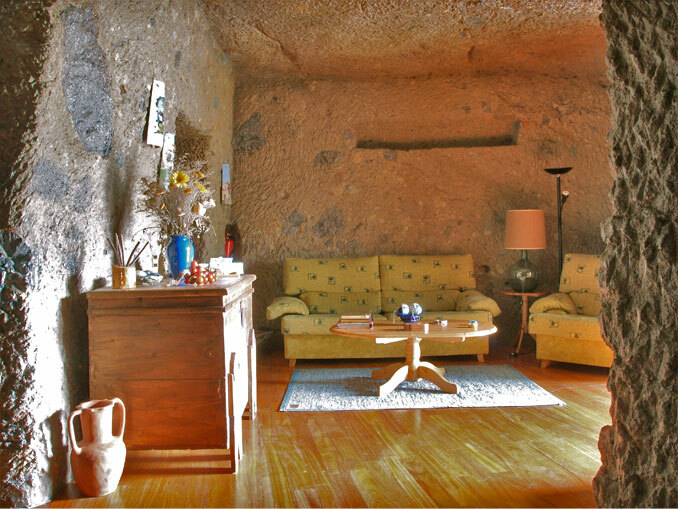 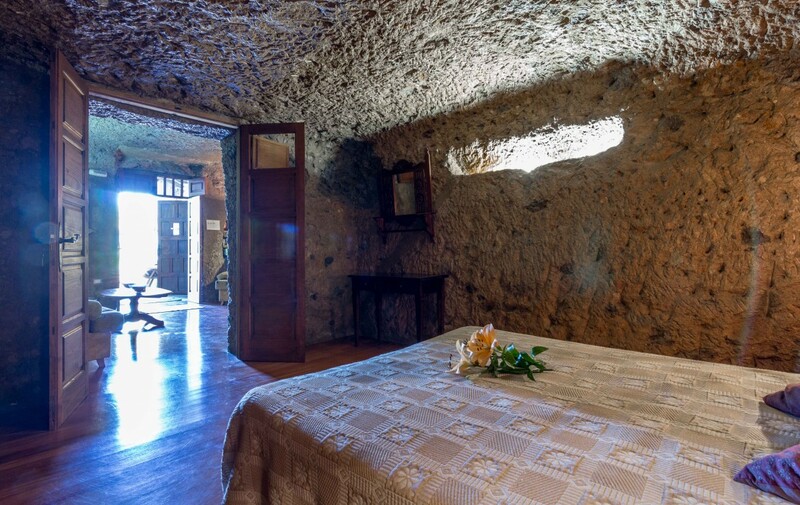 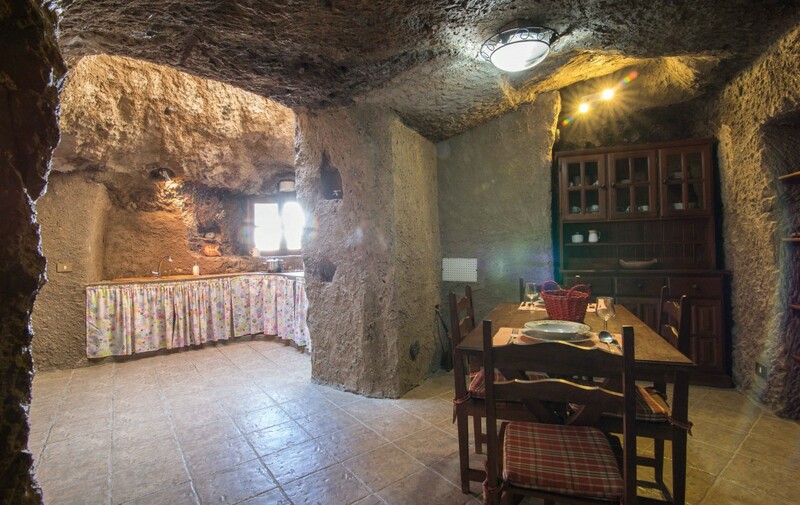 As this is a cave house, the temperature inside is the same all year around, 18ºC. 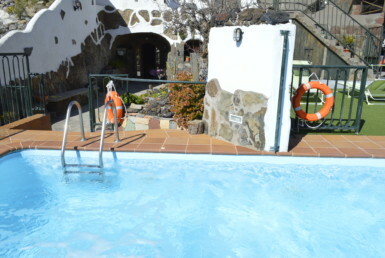 This is cosy for guests in winter and refreshing in summer when the temperature outside is higher.